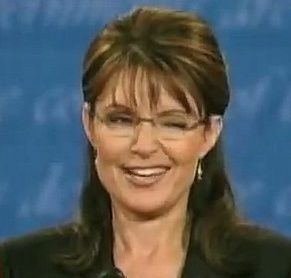 And McCain did not choke on the words. A DAY FOR REJOICING - 'DADT IS DEAD'! The military’s “don’t ask, don’t tell” policy, one described in 1993 by President Bill Clinton as “an honorable compromise” that eventually destroyed thousands of careers, ended Tuesday at 12:01 a.m., nine months after Congress repealed the law. The announcement is long overdue but welcome nevertheless. Lest we diss President Obama and the Democrats in Congress unduly, this announcement would not have come under the presidency of John McCain. “I hope that when we pass this legislation that we will understand that we are doing great damage,” he said. “Today is a very sad day,” McCain sighed later. 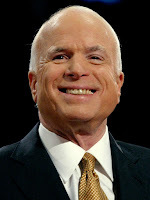 No, Sen. McCain, you are wrong; today is a day for rejoicing. 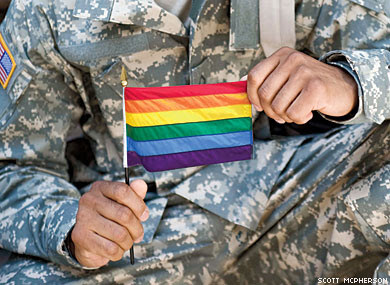 Gays and lesbians have long served bravely and honorably, and you well know the truth, but now they can be honest and forthright without fear of being thrown out of the military. And, President Clinton, it was never 'an honorable compromise.' How could the policy that 'destroyed thousands of careers' of faithful service members ever be called honorable?